Famed for its strong and stable economy, Canada is one of the most coveted hotspots for real estate investment. Yet apart from residential units, commercial floor spaces are also worth considering due to the high and rising rental yield. Strata offices at Oakridge, Vancouver, will be offering 142 premium workspaces servicing dedicated to the medical and dental industry. 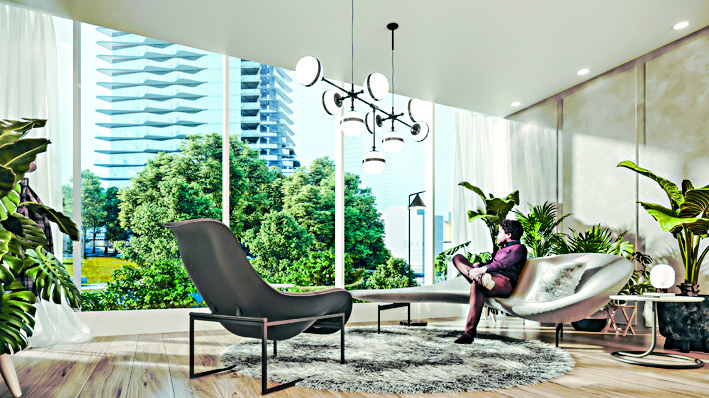 Developer Westbank is now bringing Oakridge Strata Office to Hong Kong buyers, offering a rare opportunity to invest in Vancouver’s upcoming landmark. Investors can enjoy the 20% foreigner’s tax exemption and be serviced by the CBRE leasing team. In Vancouver’s key locations such as the Downtown Core, owing to the fast-growing creative economy and the influx of technological-oriented firms, the vacancy rates of office spaces are at record lows. Meanwhile, the lease rates are growing due to the increasing demand for first-class new-build workspaces, which is currently a rarity in the market. In fact, most upcoming office buildings will not be completed until after 2021, driving tenants to look for locations which meet their requirements outside of the downtown area. 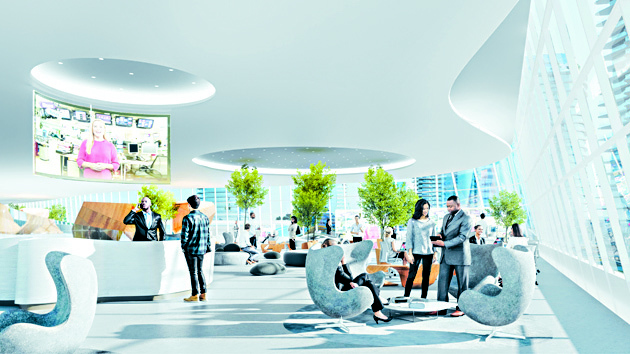 Oakridge is on its way to become Vancouver’s new town center, offering graded workspaces which are well-connected and beautifully designed. 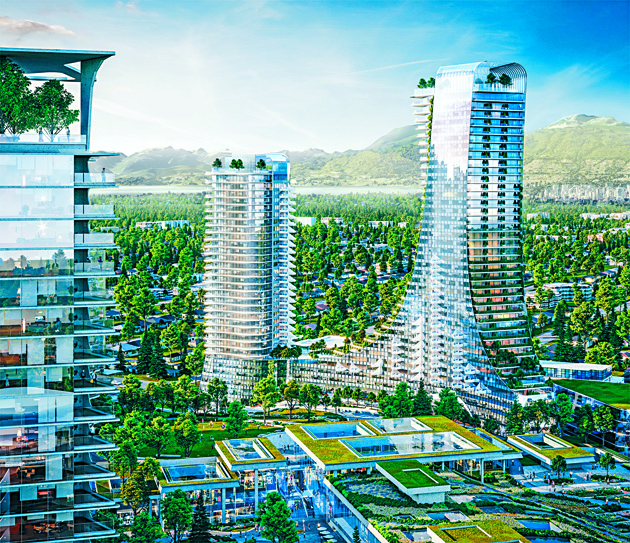 Situated on the West 41st Avenue and Cambie Street, Oakridge The Living City designed by North America’s leading developer Westbank will soon become Vancouver’s new town centre, accommodating 6000 new residences. The master plan also encompasses half a million sq. ft. of office floor space; 1 million sq. ft. of retail floor space; one of the largest civic centers the second largest library in the city; a new daycare; numerous indoor and outdoor music venues; as well as a world-class performing arts academy. With the infrastructures slowly being delivered over the next few years, the population in the immediately surrounding area of Oakridge is expected to be almost tripling in the next decade, from the current 30,000 to the estimated 80,000. As for transportation, not only is the project superiorly located in an established district, the Oakridge Station on the Canada Line also provides speedy access to the rest of the city. With a long and sterling history, the shopping mall Oakridge Centre has been functioning as the medical hub in the community. Furthering the eminent background, Tower 4 of Strata Office is on its way to becoming the new wellness centre, offering 71 medical and dental clinics with sizes ranging from 523 sq. ft. to 1,726 sq. ft. Meanwhile, Tower 3 will present 71 office spaces with the potential integration of prominent businesses, such as law firms, accounting firms, and more, available from 513 sq. ft. to 6,680 sq. ft. The total of 142 offices will be of top-quality AAA grade, which is rare in the market. With the option of turnkey finishing, these offices cater to the needs of the medical and business professions alike through state-of-the-art technology. To improve fresh air ventilation and air circulation, an advanced HVAC system is installed in each unit. The triple pane curtain which is present throughout Oakridge will function as both a blind and a sound barrier, providing excellent exclusivity for clients and patients. There are also potential integrations of Apple healthcare and other innovative technologies, extending the spectrum of premium services. In the immediate vicinity of the building, a technology-integrated 1 km running loop, pools, and gyms could be found in the serene 10-acre park. The BC Women and Children’s Hospital and the blood bank are also just one km away. Exhibition will be held at Westbank Sales Gallery this weekend, visit and explore further details and exclusive deals. Total Office Area: 450,000 Sq.Ft. Size: 513 Sq.Ft - 6,680 Sq.Ft.